In the first study to assess the feasibility of obtaining a mail-in, dried blood spot (DBS) sample from large national surveys in the U.S., results showed return rates differed across racial/ethnic groups and educational attainment. Specifically, Blacks and Latinos, and people with a high school education or below were less likely to return a DBS sample than Whites and those with a college education or above. The DBS collection device provides a low-intensity method of obtaining a blood sample that can then be used to better assess, verify, and understand alcohol use and its effects on the drinker. Six hundred and eighty eligible participants from two national alcohol surveys were contacted by telephone; 257 (37.8%) agreed to participate and were sent a collection kit. Of those, 179 (69.6%) returned the sample. Participants also completed a paper-based user experience survey (UES) which provided feedback on ease of use. DBS studies often calculate return rates based on the number of people who agree to participate versus the number who were actually eligible and contacted. This study calculated both. Over 90% of people who returned the kit also completed the user experience survey, giving researchers a more detailed perspective on how the respondents felt about participating in this type of study. According to Martinez, the low participation among Blacks and Latinos may be due to a mistrust of health research because of past misuse of biological samples in research studies and the current political climate. There may also be a misunderstanding of what kind of data are being collected and how these data are used. A lack of participation, especially among groups that are already underrepresented, can further exacerbate already-existing inequities. Martinez and her team hopes their study is a first step. Support for this paper was provided by the National Institute on Alcohol Abuse and Alcoholism and the Office Of the Director at the National Institutes of Health under award number K01AA024832 (Martinez). The content is solely the responsibility of the authors and does not necessarily represent the official views of the National Institutes of Health. 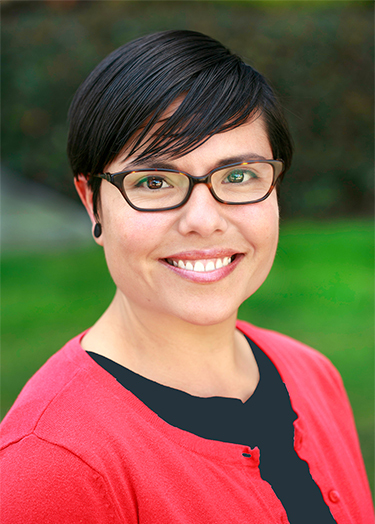 If you are interested in arranging an interview with Priscilla Martinez, Ph.D., please contact Diane Schmidt, communications specialist at (510) 898-5819 or dschmidt@arg.org.